Going straight to the list of things I didn’t think was ever necessary, celebrities are getting some A-list treatment over on Google Search. 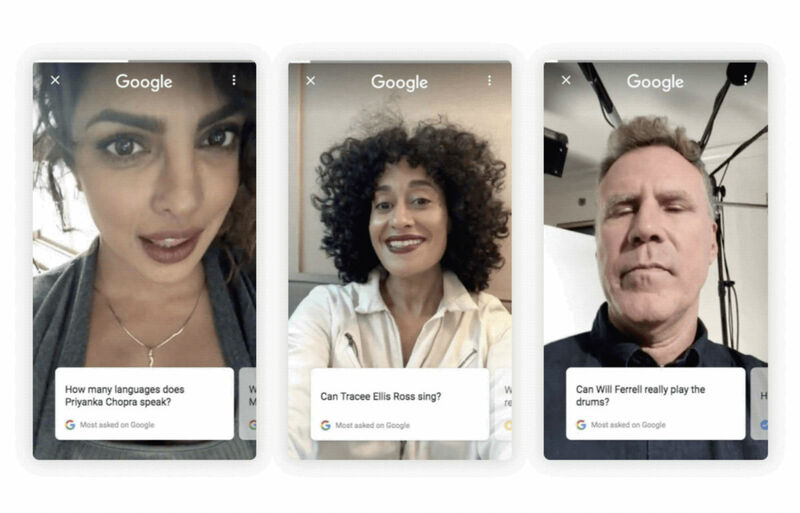 To give you an example of what’s happening, let’s say you Google, “Can Will Ferrell really play the drums?” Thanks to this new “feature,” Mr. Ferrell himself will now provide the answer via a selfie video, all within Google Search. Currently, only a handful of celebrities have accessible selfie videos on Google Search, but as Google says, many more are coming. For now, you can find personal videos from Priyanka Chopra, Will Ferrell, Tracee Ellis Ross, Gina Rodriguez, Kenan Thompson, Allison Williams, Nick Jonas, Mark Wahlberg, James Franco, Seth MacFarlane, Jonathan Yeo, and Dominique Ansel. If you want to listen to some celebs provide a few personal answers, check it out on your phone!